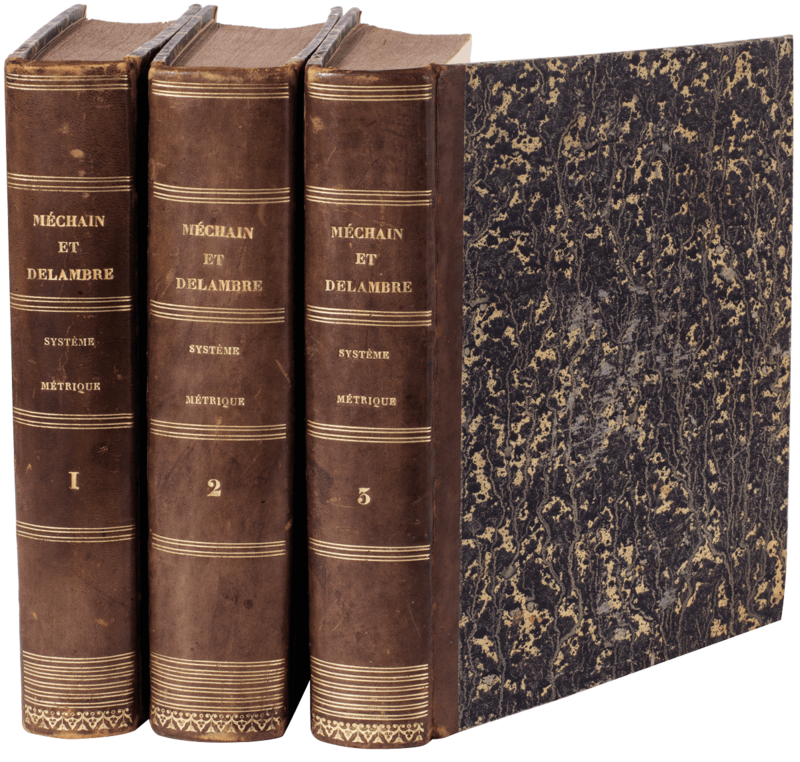 Folio (290 x 206 mm. ),  leaves, 152 pages,  leaves, title page with the engraved arms of the dedicatee, cardinal Carlo de’Medici, numerous diagrams and figures in the text. A pale waterstain in the upper white margin, lightly browned, cover material with few defects, but a very genuine copy in contemporary limp vellum, manuscript title on spine. First and only edition, rare. Pietro Accolti (Pisa 1579-1642) was a painter, mathematician and architect member of a noble family from Arezzo.‘The treatise is divided into three parts-plane figures, solids, and shading--which is distinguished for showing how perspective practice derives from principles of visual perception. 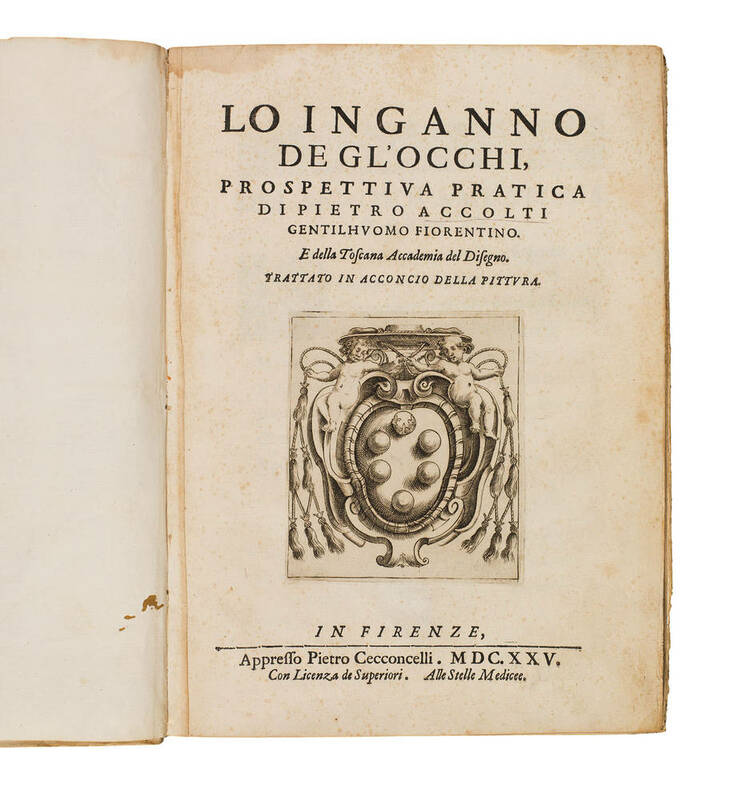 In this erudite work, he critiqued classical and modern theories of vision (including those by Witelo, Euclid, Aguilonius, Guidobaldo del Monte), and criticized modern writers on perspective for underestimating the importance of light and shadow. He emphasized the need to distinguish parallel solar rays from diverging point sources of light such as candlelight. He presented some original ideas on arranging compositions with multiple vanishing points, and on foreshortening pictures within pictures. He reproduced a perfected version of Dürer’s perspective window with a frame, hinged shutter and strings. Chapters on anamorphosis and quadratura ceiling painting are typical of 17th-century interests. Also noteworthy is his flexible attitude towards perspective rules, which he cited only to “open the eyes and minds” of students without intending to set restrictions. His ideas on unione and sfumamento (the transitions between light and shadow) have been compared to those of Pietro Testa, and interpreted as a product of the Carracci reform of color and chiaroscuro. Like Matteo Zaccolini’s treatise, his writings testify to the 17th century revival of the Leonardesque ideal of scientific painting. Carlo Pedretti has shown that the appendix dedicated to young academicians is a paraphrase of Leonardo da Vinci’s Treatise on Painting, now known as the “Libro di pittura”. He followed in Leonardo’s footsteps by combining art with science and engineering projects, such as a windmill built in Livorno which was capable of moving water’ (Janis Bell, 1997). Cicognara 802; Riccardi I, 4.